Those of us in the meeting were staring up at the central beam of the shelter. Perhaps we were appreciating the fact that the beam was still up there, sturdy and in one piece; or perhaps we were thinking “maybe it’s not,” and so maybe it’s better to take a seat closer to the door, on the ready to make an exit. “If the beam creaks, that means that it might break,” the person who had the floor at the moment had said. It didn’t need to be said, but the person speaking warned us anyway that the weight was too much for the central beam. The house wasn’t built to support a lot of things on top of it, and the stage where all of those men and women fought each other over the throne was heavy, very heavy, too heavy. So it was to be expected that the beam would groan in protest. “What should we do?” the speaker asked, demanding collective thought. We considered the options. We could reinforce the beam. If we prop it up here and there, it was said, we might alleviate the weight a bit, but it would reduce the available space inside the house. With more and more reinforcements, the house would be converted into a labyrinth of supports and repairs, making it useless for spending the night, cooking, eating, sheltering oneself from the sun and rain, serving as host to the word and the listening ear, for holding parties, or for resting. The house wouldn’t be a house anymore. That is, instead of a place to live, it would become something that’s sole purpose is to support what’s above. It would just be another structure. Those who lived within it would do so with the sole purpose of keeping those above up there, initially by working to repair and reinforce the structure, and then by converting their own bodies into another part of that structure. This is an absurdity: a house like that cannot be lived in. Of course it would have been logical for those who designed the house to have thought to reinforce the lower part before adding weight to the top. But no, in the frenzy of the moment, they added more and more things on top, the majority of which were useless and ostentatious. Then there finally came a time when those above forgot that they were being held up by those below. What’s more, they even started to think that those below existed thanks to the mercy and kindness of those above, and that in fact it was those above who sustained those below. It’s true that those above were fewer in number, but their things were much heavier. If they had thought about it a little, with each new weight above, they would have added a reinforcement below. Not only did they not do this, but in their eagerness to accumulate more and more above, they were dismantling the primary supports for the building. As if that weren’t enough all of the beams, especially the principal one, had rotted, because those who had been assigned to maintain the edifice were instead busy stealing parts of the structure and pocketing the money that should have been dedicated to the maintenance of the beams. These people who claim to manage the building deserve special mention. The main problem is this: they only manage what already exists. But not only that, they also dedicate themselves to looting parts of the building’s structure. And as if some tragic comedy, they compete amongst themselves to decide who will be in charge of that theft. That is why they go every so often to ask those below to mention them, to applaud them, to vote for them. They want to buy the will of those below with flattery and gifts. But they get their money by taking it from those very same people below. Then, once they’re settled in to the office, they do nothing but give speeches and steal pieces of the walls, furniture, and even the floor. On top of all that, their very existence is adding more and more weight to the roof. In sum, their essential work is to weaken what is below and strengthen what is above. The story, which can be found in both the Bible and the Koran, is simple: Noah receives a divine warning. God is angry because humanity doesn’t honour the rules and so has decided to punish them. The entire world will be flooded and the only ones who will survive are those who can pilot a boat. So Noah decides to build a gigantic boat, the ark. In it, he puts his people and a pair of each species of animal, as well as plants. The scepticism of the people around him does not deter him. The deluge comes, the world is flooded and everything on the surface of the earth perishes. Only those who are in the ark are saved. After some time a bird brings a small branch to the ark, signalling that there is a dry place nearby. There, humanity is founded anew. Hmm…Noah’s ark. Now imagine the debate that would arise in response to this story. We have the religious fundamentalist: it’s proof of god’s omnipotence, he created the world and can destroy it whenever he wants; it’s proof of his mercy, he chooses a few to survive, the chosen. The only thing to do is praise the Lord for his power and pray for his mercy. We have the scientist: precipitation with these characteristics is impossible; the surface of the earth cannot be entirely covered with water due to one rainfall. This story is nothing but a good script for a Hollywood movie. We have the philosopher: in reality, it is an allegory emphasizing the fragility of human beings and the transitory nature of their existence. But another voice cautioned that before confirming, it would be good to try to see further, maybe from higher ground, just in case things are not what they seem, that they really aren’t that serious…or that maybe they are more serious. Either way, that meant climbing up among the branches of the ceiba tree, to the highest part, where the leaves and the clouds compete in their games with the wind. Of course I got tangled up several times on my way up. Let’s just say that the pipe and the nose are no help when you’re moving through the branches. Up there at the top, the cold was even colder. At the top the clouds had finally cleared and the Milky Way snaked from side to side, like a persistent crack of light in the dark wall of the night. I looked questioningly at the most distant lights, out there where the Hubble space telescope was busy analysing a supernova. I took out my binoculars. I jotted down in my notebook the need for an inverted periscope and, of course, a good microscope. I descended as quickly as possible, which is to say, I fell. I arrived sore to the tent where my bosses [jefas and jefes] were still discussing the beam and its resistance. I said my part. Nobody looked surprised. That is how the idea of the seminar/seedbed emerged. That is how we constructed the “method” for our participation in the seedbed/seminar. Not only are we drawing attention to what we see on the horizon, we are also trying to account for the gaze that we are. So we saw that history is important: how things were before, what continues on the same, what has changed; that is, a genealogy. To explain the genealogy, both that of who we are as well as what we see, we need concepts, theories, sciences. And to know whether these concepts are useful, which is to say that they sufficiently account for this history, we need critical thought. Because both Zapatista reality and that other reality can be explained in a number of ways. For example, you could say that the eezeeelen is an invention of the government, as they love to say over and over again among the “progressive” intelligentsia. Through the gaze of critical thought then, our movement could be explained in its various parts and in its totality as the product of a governmental conspiracy. If it cannot be explained as such, then we need to look for a different approach or manner of explaining Zapatismo. For example: it is a scheme created by foreigners; it is part of an alien invasion; it is a vindication of the heteropatriarchal system; it is the cunning manipulation of indigenous peoples; it is just nostalgia for the noble savage; it is a cinematic montage; it is a millennial recurrence; it is the product of brilliant action by a group of enlightened people; it is merely the result of the institutional neglect of the state, etcetera. 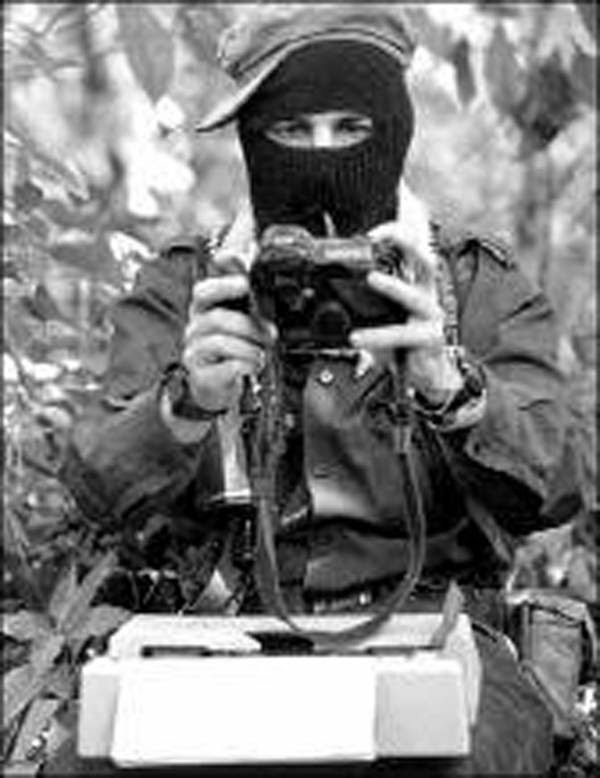 Here I have given some of the principal “explanations” for Zapatismo that have been spouted from across the ideological spectrum, as much in academia as in the “analysis” of the private media, as well as among political forces, be they institutional or not. If such explanations or theories are not able to account for Zapatismo, then they are no more than opinions and should be taken as such. But critical thought can go further, for example, by drawing attention to the lack of concepts in any given characterization—that is, the lack of theory. If an analysis is not supported by an articulated theory, able to emerge unscathed from a confrontation with reality, then where does this analysis come from? From what source does it draw? Who is it that sees with such a gaze? If instead of concepts what are deployed are judgments, then little to nothing has been understood. And in that case, there is nothing to be done in the face of this reality, other than suffer it. Or, sure, from this one could also construct entire philosophical systems, or “new sciences,” or tweets (these at least have the advantage of being brief). This critical thought not only helps us give an accounting of our history, what we were, what we are today, and what we want to be, it also allows us to explain reality, that which is most immediate to our calendar and geography. This is what we try to do with our gaze, both when it is oriented inward and when we are looking outward. This is how we come to realize that we need scientific concepts to explain what we are and how we see. We need basic concepts to understand the capitalist system and the turbulent march of history. Not only can we not spare these things, but we find them absolutely essential: one or a few telescopes, some good binoculars, as many microscopes as there are geographies, and just as many inverted periscopes to study the roots of the matter. Faced with reality, one can take many distinct positions; one can provide explanations or opinions. Our collective effort is to explain, to understand, to know, and to transform reality. An initial assessment tells us that other gazes coincide with ours on something fundamental: a storm is coming. Knowing that critical thought should inspire reflection and analysis and not blind unanimity, we have selected some of the words that were presented in the seedbed/seminar. They are many and they are important and the majority of them are provocative. And that was the idea, for the word to provoke thought. The problem of the calendar and of geography is that they make it difficult, in an initial sitting, for one to take everything in. That is why we decided to make a book, or a couple of books, that people can read calmly and then ask questions: who said what? Why? When? From where? For what? These are important questions because we think that they can help make more and better seedbed/seminars in many other places. This collection consists of three volumes. In this first volume we have included the Zapatista word according to how it was prepared. We did it this way because our word was spun together like a thread, like a sequence that would help to reconstruct not the whole puzzle, but one of its pieces. This first volume includes: a double gaze (inward and outward); an emphasis on the changes we have detected and suffered; “aids” for the gaze (microscopes, inverted periscopes, binoculars, orbital telescopes); and the warnings we now sound. You will find here almost everything that we have observed from the crow’s nest of this vessel that is the synthesis of calendars and geographies. Although we at first set out to sound the alarm, to blow the conch shell, we soon realized that what we saw also made us look inward, as if the sentinel’s post had inverted its mission and the sentinel is forced to explain, or try to explain, what gives it meaning, purpose, place. We thought then that we could better explain what we saw outside if we first could explain what we see inside. Did we succeed? I don’t know. The answer is not for us, the Zapatistas, to give, but rather for the listener. We also propose a method and lay out a necessity. The method is that of reflecting on history itself, on genealogy. The necessity is gathering the theoretical elements to do so. Finally, in both the method and the necessity we find the relevance of critical thought. The texts in this first volume correspond to those that were read or presented from May 2-9, 2015. As the readers will see, this book also contains some texts that were not presented there in their entirety, and one that was not released at all. Readers will also note that they do not match the audios exactly because as they were being read some things were taken out or added. We have made an effort to assure that our thinking, compiled here, is not lazy or conformist, that it does not fail to account for what has changed and for what remains the same; that it is not dogmatic, that it does not impose its particular time and its particular way; that it is not deceptive, full of lies and half-truths. We hope that these words are food for doubt, inquiry, and questioning. Apart from that, the storm is coming. We must prepare. A recommendation: read these texts as if they were one single piece, not as isolated or unconnected interventions. Our words were thought out and prepared as a single unit, as if each part came out of a puzzle that, in the end, would reveal its shape, its intention, and its thought only in relation to the other pieces. As is the Zapatista way, at the end you will find the beginning: we have to make more and better seedbed/seminars; to make space for practice, but also for reflection on that practice; to understand the need for theory and the urgency of critical thought. We are not creating a political party or an organization, we are creating a place from which to see. For this vision, we need concepts, not good intentions; we need practice with theory and theory with practice; we need critical analyses, not a priori judgments. To look outward, we need to look inward. The EZLN’s full Book, Critical Thought in the Face of the Capitalist Hydra, from which this is excerpted, was just released, and is available now from PaperBoat Press. This book will shortly be available in the UK. See: https://ukzapatistas.wordpress.com/new-book/ Or contact us. All proceeds to the Zapatista communities.